If you looking for your next boot to deliver high performance ski mountaineering and downhill, this could be what you have always dreamt of. For those who don’t know me I weigh 70 kg and have a background in skiing gates, freeride, ski mountaineering, steep skiing and Alpine climbing. Over the last 20 years I have used a number of touring boots including: red Scarpa Denalis, Scapa Denali XTs, Scarpa Matrix, Scarpa Spirit 4s, Dynafit Titans and until now was running Dynafit Vulcans this year. My current alpine boots are Atomic Race 130s and Dalbellos. My foot is a long low volume number with skinny heel/Achilles area usually fitting a 98 mm last. You will have noticed from my list of boots that I have been using Dynafit for the last couple of seasons primarily in search of a closer fitting boot that suited my feet. Volume reduction was required in the Scarpa Spirit 4 both under the foot and at the heal and in conjunction with a Dalbello tongue to provide a progressive flex it took me on many steep skiing adventures up to the toponeige grade 5.4 (sustained 50-55 degrees; fall you die type terrain). So, it was with surprise that my foot felt so snug in the Freedom SL in what Scarpa claim is a 102 mm last. The fit along the front of my foot felt akin to alpine boots. The adjustability of the instep buckle combined with the alpine overlap design provides a good fit for a large range of feet. I’ve been testing a (mondo 27) 307 mm sole length which is slightly snugger than the 304 mm Vulcan and 317 mm Dalbello. Weight wise both the Freedom SL and the Vulcan are coming in at 1800 grams per boot on my scales which means I can do up to 2000 m vertical below 4000 m altitude with a pair of 5.5 kg skis. The boot comes with a mouldable Intuition tongue style liner to ensure a close fit. The liner has a hinge area below the calf for comfort while touring firmer foam around the upper to provide the support and power transfer you are used to on alpine boots. The base of the liner has a nice rubberised coating to give some grip when walking around a hut or hoping out of the tent to go relieve yourself. The forward flex feels springy and progressive like an alpine boot and is controlled by the aluminium bar on the Achilles spine. Forward lean is adjustable from 14 degrees by +/- 4 degrees and the transition from walk mode is a simple flick of the switch. A beefy aluminium bar engages in to a slot for ski mode which can be easily verified visually before committing your life to that first turn down a 1000 m 50-55 degree line. Another improvement Scarpa have made in this area is the interface between the ski-walk mechanism and a rear crampon bail. I experienced a good crampon fit with both Sarken and Camp Nanotechs and I’m sure Grivels will be just as snug. Also of note is the strong lateral construction of the upper cuff that enabled me to power a Volkl Katana 191 which is the stiffest ski I have. The shell is moulded from Peebax Renew plastic and Scarpa have mastered the art of bonding plastic to carbon enabling a carbon core beam to be utilised in the shell sole to provide the backbone. With one type of plastic forming the main shell its easy for boot fitters to work with to get the ultimate fit. The boot has four clips with touring teeth on the cuff buckles and a powerstrap. Initially I thought the cuff buckles were a step backwards to the Titan era. The memory has not yet faded of loosing a lot of time at transitions trying to get the upper 2 buckles engaged to the touring teeth and not knowing what to do with the power strap. 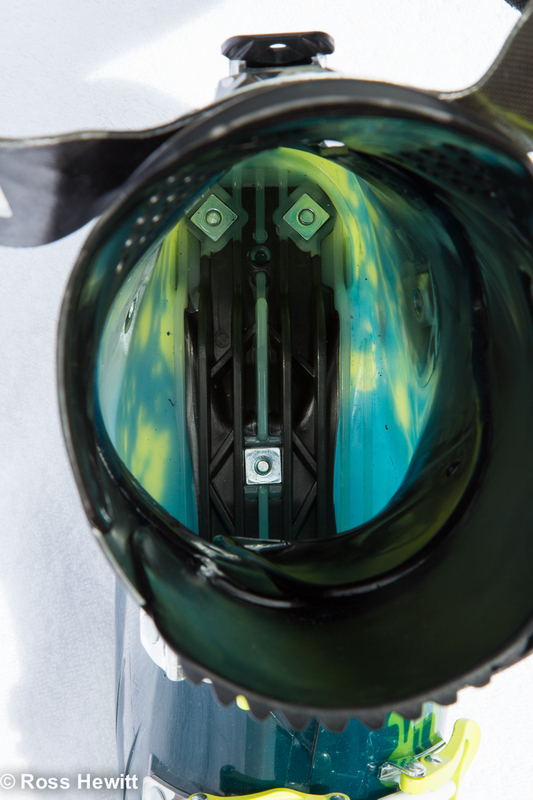 The Vulcan and Mercury use a nice over centre cam top closure that has a tab which locks the boot in ski mode making it very fast going from one mode to another. The downside is the buckle sticks in walk mode and is more likely to be knocked while passing through rocks or mixed climbing. Back to the Freedom SL and I was pleasantly surprised to find that the large range of motion on walk mode meant I didn’t need to loosen the buckles much even when skinning on a flat glacier and with the buckles all sitting snug on the boot there was little chance of damaging them while skinning or climbing. Also a set of teeth stop the power strap sliding up off the boot while touring which used to drive me crazy on the Titans. Slight tweaks to existence methods have produced a good result here. 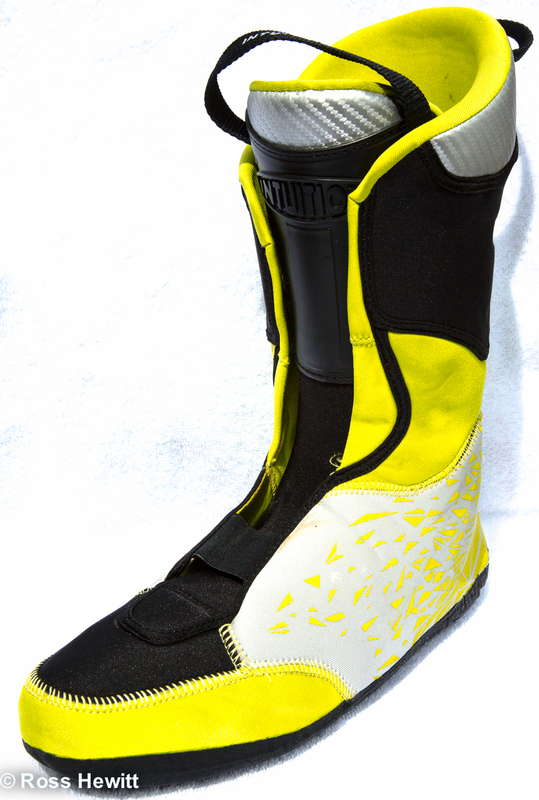 The boot is designed with interchangeable soles units comprising a DIN sole for downhill bindings or a vibram rockered dynafit compatible touring sole. Scarpa have cleverly placed the heal dynafit interface in the boot shell rather than the sole to benefit from the shell stiffness. The soles are held in place by T nuts inserted on the upper side of the carbon bar in the sole which the 2 toe nuts moulded into the shell. This is a major improvement over old designs where interchangeable soles screwed into plastic could fail. The interchangeable sole feature adds a little weight and some will argue a reduction in rigidity but the upside is it makes this boot highly attractive for a one boot for both freeride and high performance ski mountaineering. 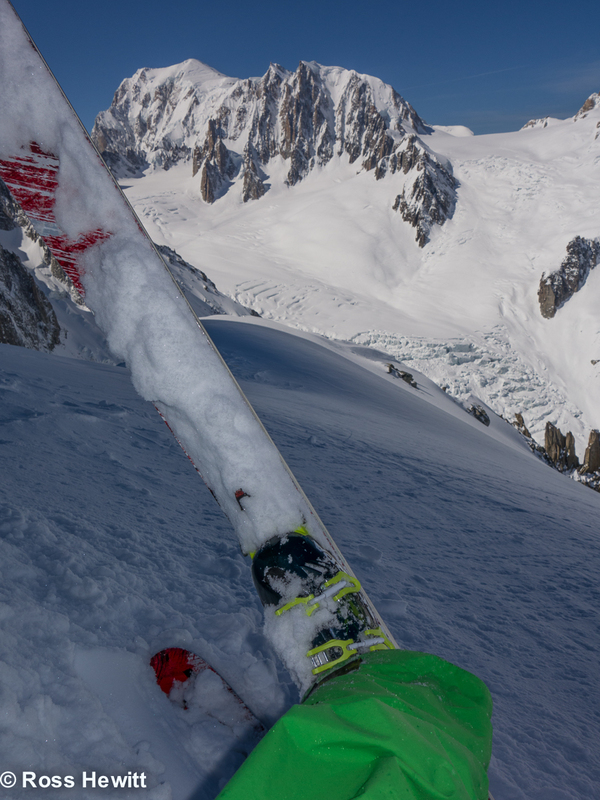 One of my biggest frustrations is skiing one day in alpine boots then the next day heading into the Argentiere basin in touring kit and trying to anticipate how a boot will respond on the first turn on one of the basin’s many classic steep lines. Another difficult decision is what setup to take on that ski trip when baggage allowance comes into play or if you want the simplicity of a one boot quiver. Now you know. 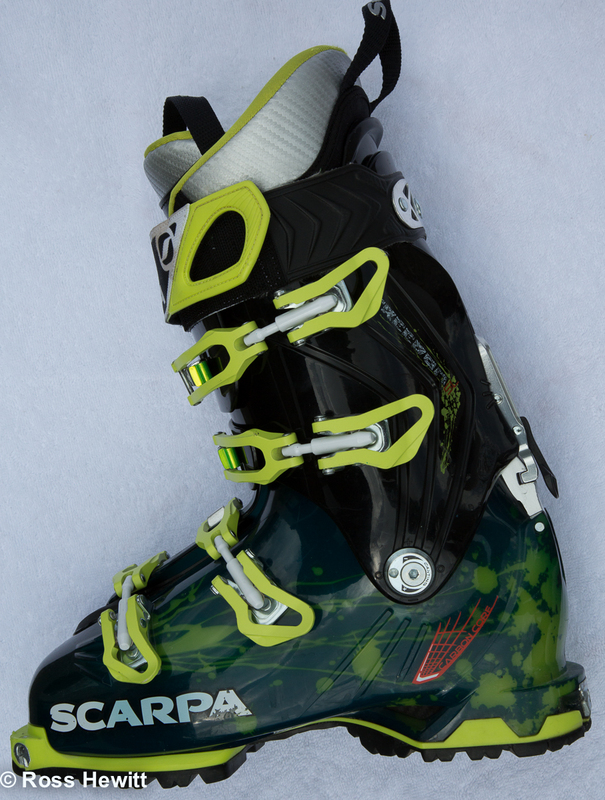 My final comment is that the boot is made to Scarpa’s usual high quality standards and most importantly looks rad in green and black with fluro yellow buckles. 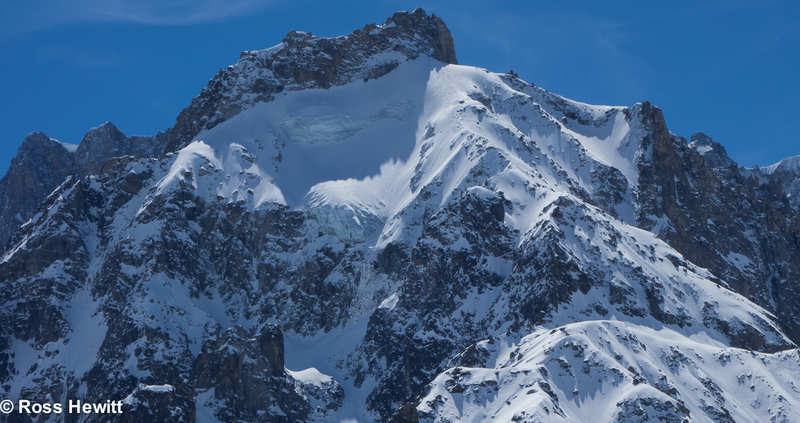 This entry was posted in Skiing and tagged Gear review, 스카르파 sl, Mountain Boot Company, Scarpa, Scarpa Freedom SL, Scarpa Freedom SL Review, ski touring boots by Ross Hewitt - Skiing, Climbing, Photography. Bookmark the permalink. Not a single remark about the skiing dynamics of the boot from an otherwise thorough review. 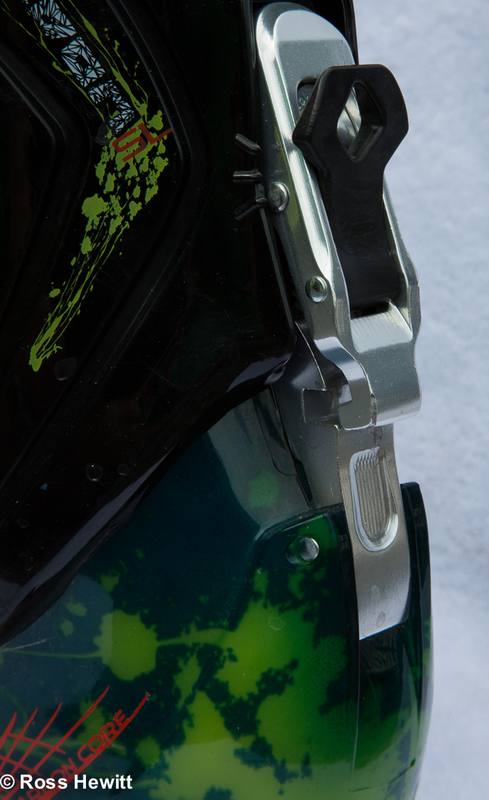 Some insight into how the boot compares to all your other ski boots in your collection would be very helpful. I have personally found Intuitions to possess a kind of cleaning sponge like interface feeling with the boot sole in the Scarpa Tornado Pros I have since sold. They were way too high volume for my foot which highly resembles yours(the writer). Much appreciated Ross. Have a great season where ever you happen to be!! Sizing help!? Just got Freedom SL’s in 27.0. I’m a 10.5 in shoes (left foot is tad longer). I currently have 2009 F1’s in 27.0 (306mm) all with a stock fit, no beds, fit great. I also have Dalbello Kryptons in 27.0 (317mm). I noticed you tested the 27.0 and also had Dalbello of 317mm. Would you say the 27.0 fit was comfortable after liner work? While Touring and Downhill? Trying to figure out if i need to up to 28 (317mm) in the Freedom SL. I have a 306 Freedom and a 317 Dalbello. I also have a 317 Freedom but it has too much room so my ankle isnt stable. I got the toe of the 306 pushed slightly to make it wider and a tad longer and this has worked well for touring and there has been no problem with the sole interface.